Investing in your education is the most important investment you will ever make. Sweet Briar College will share in that investment by administering a personalized financial aid program that is tailored to your individual needs. We understand that a family’s financial situation doesn’t always fit into neat categories. That’s why we work with families on an individual basis, providing thoughtful advice and personal assistance as you move through the financial aid process. At Sweet Briar, helping you customize a financial aid package that is right for you also means making sure you graduate with as little debt as possible. In 2016, Sweet Briar College was ranked No. 9 among Virginia colleges for Lowest Student Loan Debt at Graduation, and earlier this year, we were named one of the best schools in the country for preparing graduates to repay their student loan debt. 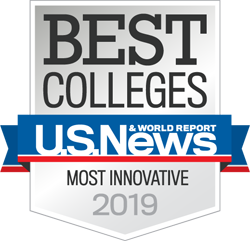 Sweet Briar is also ranked among the top 250 colleges with lowest student loan debt for parents and was recognized recently for leaving graduates with little private student loan debt.